Home : Prairie Blog : All News : Prairie School Artists Are Taking Over the Web! 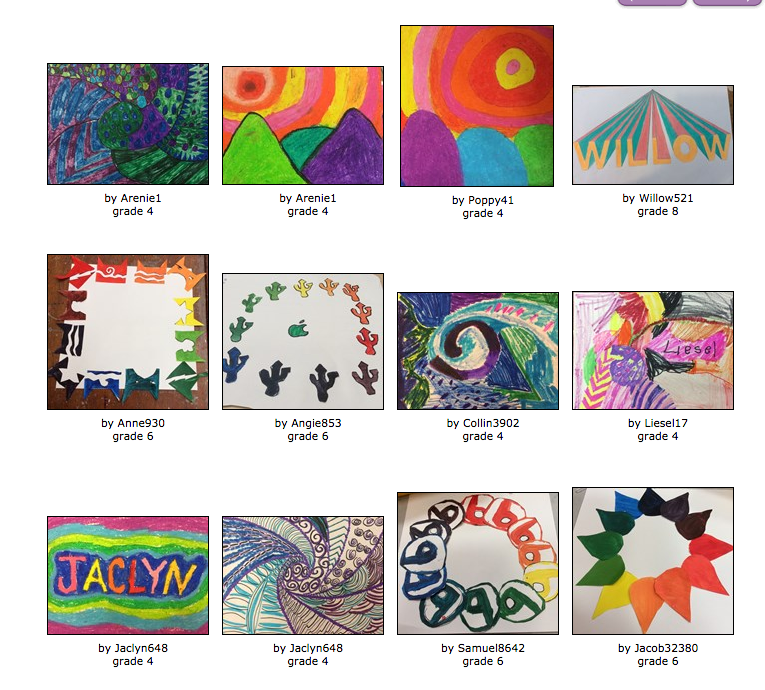 Prairie School Artists Are Taking Over the Web! Prairie School artists are taking over the web! This year, Jessica Beshel, a new member of Prairie’s Art Department, is piloting Artsonia — an online art museum that displays student artwork. Artsonia integrates technology in the classroom, develops multi-cultural understanding through art and increases family involvement in children’s education. This forever evolving gallery is continuously updated with our students’ work and masterpieces. As completed work is uploaded, parents also have the opportunity to view, comment and even purchase artwork in which 20% of the proceeds will come back to Prairie’s art programs. “This program is a wonderful way to get parents and family members more involved in Art Education,” said Jessica Beshel. 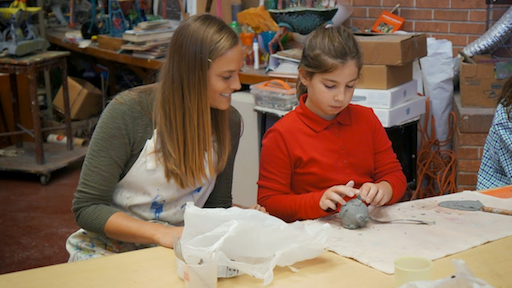 Jessica currently teaches seven sections of art with 3rd, 4th, 6th, 7th, 8th, and upper school students; these specific classes will pilot this great new program. We look forward to browsing student work as it’s uploaded! Click here, to view Prairie’s Artsonia Art Gallery. Headquartered in Gurnee, Ill., Artsonia was established in 2000 as an online kid’s art museum providing free, educational resources for kids, families and schools to create art projects. Since its inception, Artsonia continues to integrate technology in the classroom, develop multi-cultural understanding through art and increase family involvement in children’s education. To find out more, visit www.artsonia.com. This entry was posted in All News, Featured, Learn More About Prairie, Middle School, Primary School, Upper School by Communications Department. Bookmark the permalink.